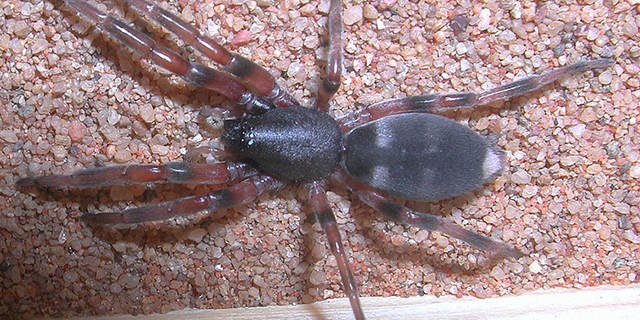 An article in the Health and Medicine forum of The Conversation questions the diagnosis of a recent case of necrotising arachnidism thought to have been caused by the bite of a white-tailed spider. The patient, who had both legs amputated, was more probably the victim of necrotising fasciitis, caused by certain bacteria or fungi, which has been well-documented in the medical literature. The venom from the white-tailed spider is non-lethal and has not been shown to cause the type of necrotic tissue damage that would warrant amputation. A 2003 report in the Medical Journal of Australia, that reviewed 130 patients who were the victims of white-tailed spider bites, found no cases of necrotic ulcers. Read Ronelle and Bills's article "The truth about spider bites in Australia – they’re unlikely to eat your flesh" in The Conversation.